A company VP tells us what changes are necessary to make the car production-ready. 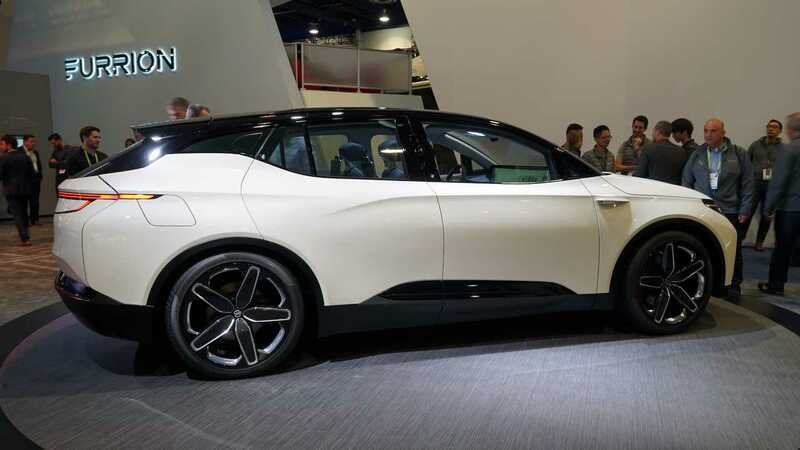 The 2019 Consumer Electronics Show marked Byton's first formal announcement of its production-ready M-Byte SUV electric vehicle interior. Just a year ago the company showcased its concept user interface and details have only trickled out ever since. But as the startup nears its time frame for a production-ready car – later this year in China and mid-2020 for the U.S. – the obvious question at hand is what needs to change for the car to be compliant on a global scale. Byton VP, Intelligent Car Experience, Jeff Chung explained what tech is new for production and how it differs from the concept interior shown throughout last year. In its current concept form, the Byton M-Byte features two displays up front. One 8.0-inch unit sitting in the middle of the steering wheel, and the absolutely massive 48-inch SED (Shared Experience Display). 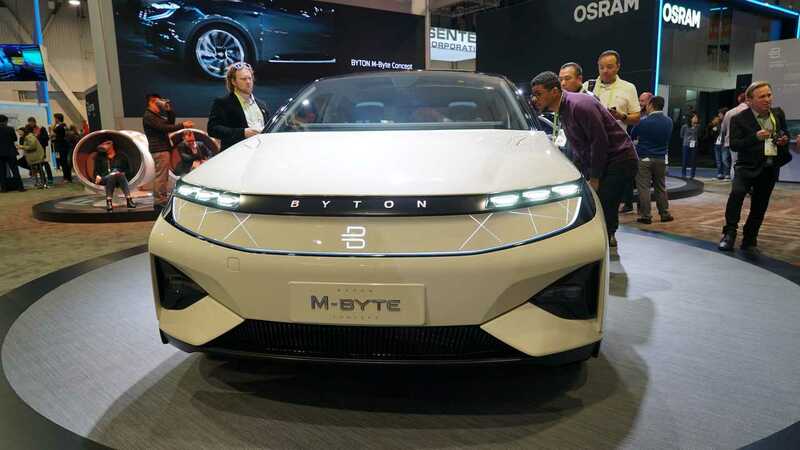 Apparently, this just wasn’t enough, as Byton plans to bring more to the party. It may seem impossible to comprehend, but it’s indeed true – the production Byton M-Byte will feature yet another screen, this time mounted in the center stack just ahead of the center console. Chung explains that if you take the already-present steering wheel display and rotate it vertically, you get what will be the center screen. The only difference is that the steering wheel display shrinks from eight inches to seven, in order to make way for an airbag. In theory, he explains, those two displays will work in conjunction with one another to control the huge SED. Think of the two supplementary screens as you would remotes to control an Apple TV: You don’t really need to look at them, just use them to control the main display. Byton’s SED display is split into two sections. 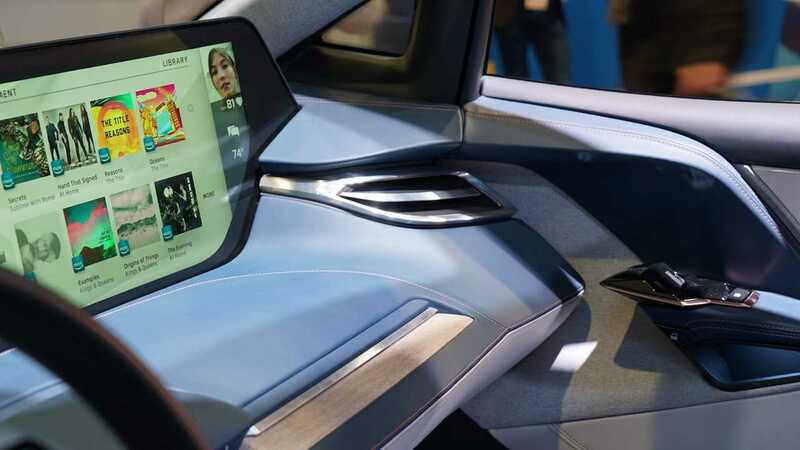 In front of the driver sits a series of car data and driver-focused information, while the center and passenger side sections are devoted to infotainment. Chung promises that the Android-based software in the production version is more simplistic to use and understand. Speaking of Android, he also divulged that Byton currently has no plans to incorporate Apple CarPlay into the car’s display. 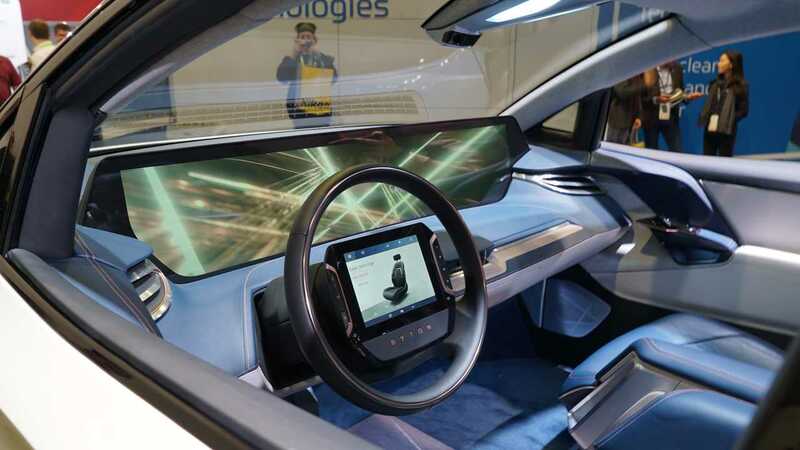 When asked if the SED is simply too overwhelming for a driver to feel comfortable using while driving, Chung assured that both voice and gesture control are present to help. Even so, the screen is imposing from any angle, even for the most tech-conscious drivers. As with most things Byton, the screen’s usability remains a mystery. Perhaps the biggest question on my mind headed into this interview was not the functionality of the technology, but rather its actual viability. If the M-Byte is a car that will cost far less than six figures, then how can you cram this level of technology in it? The answer to my query, says Chung, is the company’s approach. Tesla and the rest of the EV crew are largely concerned with performance and making their cars fun to drive. Byton, however, is focusing its attention on their car’s user experience. If the M-Byte is poised to achieve higher-level autonomy, as they suggest it will, then speed and overall performance is less relevant. In reality, it's likely the car’s all-Chinese assembly that contributes most to its projected lower price point. Even with its adapted interior and interesting tech approach, a lot has to go right for the Byton story to keep adding chapters. 2019 is the start up’s biggest year yet as it hopes to put cars into consumers’ hands in a matter of months. Soon after, its focus shifts to the U.S. market with the M-Byte coming stateside. Sitting in the M-Byte concept car with Chung at Byton’s CES booth left me with two lasting impressions: Wow, that screen really is something. And maybe, just maybe they can pull this off.